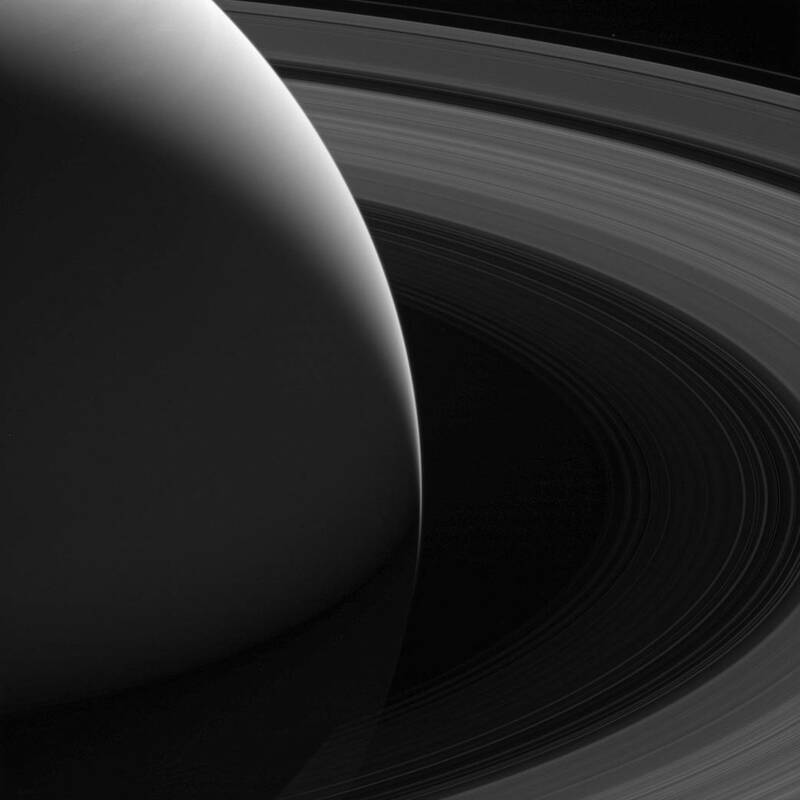 October 23, 2017 – Saturn’s graceful lanes of orbiting ice — its iconic rings — wind their way around the planet to pass beyond the horizon in this view from NASA’s Cassini spacecraft. And diminutive Pandora, scarcely larger than a pixel here, can be seen orbiting just beyond the F ring in this image. This view looks toward the sunlit side of the rings from about 19 degrees above the ringplane. The image was taken in green light with the Cassini spacecraft wide-angle camera on August 12, 2017. Pandora was brightened by a factor of 2 to increase its visibility.